Many more disabled people have come forward to describe how the healthcare professionals who assessed them for the government’s new disability benefit lied in the reports they compiled. Their evidence further confirms the results of a two-month Disability News Service (DNS) investigation, which revealed last week how assessors working for the outsourcing companies Capita and Atos – most of them nurses – had repeatedly lied, ignored written evidence, and dishonestly reported the results of physical examinations. Having read last week’s articles, more personal independence payment (PIP) claimants have come forward with their own evidence of dishonest assessors. One PIP claimant, David*, who has impairments including ME, fibromyalgia and a heart condition, has described how his disability living allowance (DLA) award of the higher rates for both care and mobility was lost after his PIP assessment left him with zero points (a claimant needs eight for the PIP standard rate and 12 for the enhanced rate). Information from his previous applications for incapacity benefit, DLA and employment and support allowance (ESA), and his successful appeal decisions for DLA and ESA at tribunal, had been omitted from her report. David told DNS: “The report states I carried out tiptoe and ‘balancing on each foot’ tests and had no problems walking. I did not walk a step and did not carry out the tests described. When he described how his medication had sent him to sleep in his back yard, the assessor claimed that he said instead: “I wonder [sic]round the fields outside my house,” while being able to open a ring-pull can was interpreted as “able to prepare a meal”. He is appealing the decision, and is complaining about his assessor to the Nursing and Midwifery Council. Rachel*, a former mental health nurse, requested a copy of her assessment report after she was awarded zero points by DWP, following a PIP assessment by an Atos nurse in the Brighton assessment centre, when she had previously been claiming middle rate care and lower rate mobility under DLA. She said: “In the report, I found details about a physical examination that was allegedly performed. It ran to one side of A4 paper. She is now appealing, and is hoping to lodge a complaint about the nurse with the Nursing and Midwifery Council. Julie*, who has both a physical and mental health condition, said she had been claiming the highest rate for both care and mobility under DLA, but as a result of a dishonest Atos assessment report by a nurse was granted only the standard rate of both daily living and mobility for PIP, and lost her Motability vehicle in January 2016. After she requested a review of her case in November, she was assessed again – by another nurse – and again received a dishonest report. The whole process, she said, had been “humiliating and degrading”. In both reports, the nurse said Julie had refused a physical assessment, which she said was not true on either occasion, and was witnessed by a third party both times. She said: “When it came to care, she ignored a lot of what was said, just picking out the fact I could shower but didn’t mention that my husband has to help me, the same with cooking and taking medication. Another claimant, Sandra*, said that the nurse who assessed her wrote in her report that she had no suicidal thoughts, even though Sandra had shown her copies of police incident reports written after her friends had expressed concerns for her safety. The nurse also wrote that Sandra was in a “good mood and often smiling”, even though she had told her that her second dad had just died and she had spent a sleepless night crying. The nurse wrote that Sandra can “manage medication/therapy unaided”, even though her flatmate helps her fill her tablets box and then hides the rest of the medication in his room to avoid her using it to overdose, as she has done previously. Sandra had previously received the PIP enhanced rate for daily living, but as a result of the assessment report, received zero points and so lost her entitlement to £330 every four weeks. She is now waiting for a tribunal to appeal that decision. As a result of the problems this has caused, she has started to hear voices for the first time, and has been referred for urgent psychological treatment. She cannot use public transport because of claustrophobia, and taxis are expensive, particularly because she has to travel to a neighbouring town for hospital appointments. Michael* said that the stress of fighting his PIP case through a tribunal – and also having to take his ESA appeal to a tribunal – caused him to have a heart attack. He said that both of the reports compiled by these assessors were “seriously dishonest, missing huge amounts of evidence I gave, some of which was extremely important to my case”. He had been assessed for PIP by an Atos physiotherapist, who failed to mention the “multiple pulmonary embolisms on my lungs which though I had suffered with from my first heart attack two years previously had only just been diagnosed”. He also claimed that Michael experienced only “mild pain”, when he had been told about his “neck and back injuries, a broken right kneecap, arthritis of the knees and angina, to name just a few of my problems”. As a result of the assessment, he was awarded no PIP payments at all, and it took him 18 months to reach tribunal, where he was finally awarded enhanced mobility and standard daily living. Another PIP claimant, Michelle*, said she was “devastated” when she received a copy of the “fictional” report compiled by the Atos nurse who assessed her. She plans to lodge a complaint with the nursing regulator, the Nursing and Midwifery Council. The report mentions the results of a hip rotation test, and a test to see if she could put a hand behind her back, neither of which she said she was asked to do. The nurse also said that she “can raise arm within normal range”, something she cannot and did not do. The nurse also claimed that she took the top off a sports drinking bottle with “adequate dexterity”, when that was done by her son, and that she “passed prescription across the desk”, again something that was done by her son. Michelle had previously been receiving an indefinite award for the highest rates of both care and mobility under DLA for more than nine years. Following her assessment, that was reduced to the standard rates of PIP for mobility and daily living. She said: “This means I will lose [my]Motability car and won’t be able to get to hospital appointments, doctors or visit family. Nicola* was assessed at home by a mental health nurse working for Capita. Even though the assessment was recorded, with the knowledge of both the assessor and Capita, she said he still “lied throughout the report”. Among the lies, he wrote that she saw friends every day and spoke to them daily on the phone, visited her GP in a taxi, and did not know what one of her inhalers was for, all of which was disproved by the recording, she said, while he also ignored her depression and emphysema. Christopher Brogan told DNS this week how he accompanied his partner, Mandy Cooper, to her PIP assessment in Birmingham last November. A Capita nurse assessor wrote that Mandy can visit a local shop on her own, even though she was not asked if she could do that, and cannot walk that far. The assessor said she had climbed a couple of steps at the assessment centre, even though there had been no steps in the building for her to climb and she had entered the building via a ramp. As a result of the report, Mandy’s higher rate mobility and care under DLA was changed to standard rate daily living and no mobility under PIP. They are taking her case to a tribunal. Barrie Davies told DNS this week that the Atos physiotherapist who assessed him in Wigan a few weeks ago told “lie after lie after lie” in his report. As a result of the assessment, he had to hand back his Motability car this week, 17 years after a previous dishonest assessment report by a doctor led to him having his Motability car removed. He had previously been claiming the higher rate mobility and middle rate care component of DLA, but as a result of the latest assessment report, that was changed to the standard rate of PIP for both daily living and mobility. Davies said: “He said I can walk down steps without crutches and that is a lie. “I can’t move my neck at all. He said I have got good movement in it. He is appealing against the decision, with support from the online welfare advice group Fightback4Justice. One claimant, who commented on last week’s story on the DNS website, described how his assessment report had proved to be “not just a pack of lies but contained 19 spelling mistakes, three sentences that were complete gibberish and at least two contradictory statements”. He now plans to report his assessor to his local police force for alleged fraud by misrepresentation. 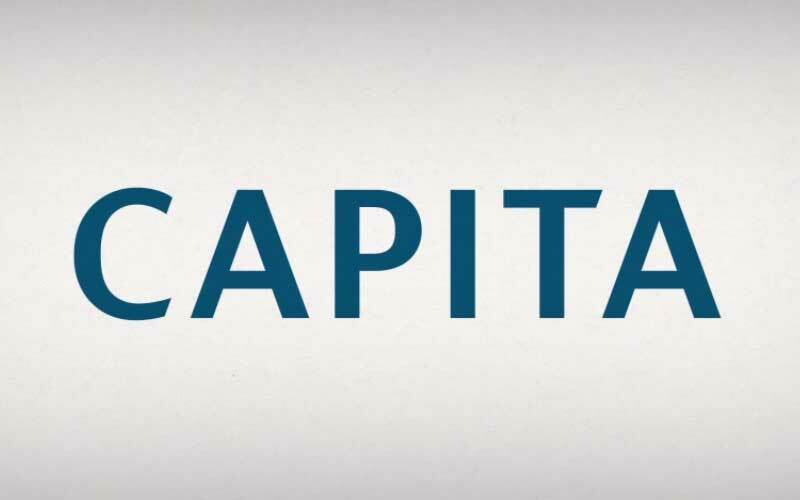 Capita asked to see anonymous summaries of the latest cases this week, but then – after its media team had read them – refused to add to last week’s statement, in which it said it expected “all assessors to behave in a way that meets both our high professional standards and those of their professions”. Atos again refused to comment. A DWP spokeswoman said: “We expect the highest standards from the contractors who carry out PIP assessments. “We do not accept it to be the case that there is dishonesty amongst them. “As we said, we are committed to making sure the PIP assessment process works fairly and effectively, which is why we welcome independent reviews such as the ones led by Paul Gray, the second of which is expected in April 2017. “Anyone not happy with their benefit decision can ask for it to be looked at again, and then appeal to an independent tribunal.